Lightning strike: How can businesses prepare for the new wave of mobile workers? 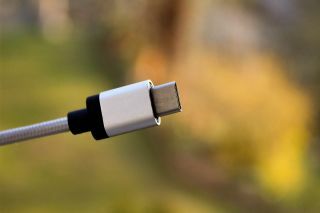 By fully adopting USB-C, organisations can simplify the process of charging, powering and connecting devices. The days of working 9-5 are a thing of the past, and while the modern workforce may consider themselves ‘always on’, this no longer means being chained to a desk. Flexible working is on the rise, and it’s here to stay. In fact, a recent report revealed 2017 to be the year when over half of organisations in the UK are likely to adopt flexible working. By 2020, it’s predicted more than 70 per cent of companies will have followed suit. Whether fitting deadlines around child-care, travelling to meetings or switching between offices, connectivity is at the heart of agile working. To truly benefit from the new age of business, organisations need to ensure both the hardware and software they are using is the right fit for today’s on-the-go employees. Recent hardware launches have seen mobile and laptop manufacturers turning their attention to a number of different products and technologies, all designed to make flexible working easier and more efficient. At the forefront of these developments is the USB-C port, delivering both improved performance and standardisation of device charging. It’s important at this point to understand that USB-C is not simply a re-vamp of the traditional USB with the same features, but that it has the ability to power laptops, deliver 4K video, and transfer data at up to 10 GB. With technology driving the continuous developments around flexible working, the USB-C port could be responsible for streamlining cable requirements and introducing a single format across all devices. Not only does this mean using one cable, it also means using just one port, whether it be across PC, Mac, iPhone or Android. However, as any business will tell you, with new technology comes new risks. So what do organisations need to know before they make the transition? Crossing over to USB-C requires leadership from IT professionals to acknowledge that tomorrow’s ways of working will be upon us before we know it. However, one common misconception is that you will no longer be able to use your existing USB peripherals with your new USB-C devices. USB-C is a connector type, carrying different USB speeds and standards. USB 3.1 is the new standard that being drive but doesn’t complete discontinue the use of previous standards, such as 2.0 or more recently, 3.0. USB-C is compatible with all of these technologies, as long as you have the right cables and adapters. For example, just ticking a box and installing cheap cables and accessories can actually cause physical damage to devices, so these must be avoided at all costs. Unless the cabling or adapters being used include the necessary circuitry, it can overwhelm devices, frying technology and even compromising employee safety. This makes it crucial to work with trusted vendors that have the right knowledge and experience for your business. In order for USB migration to be successful, leaders must consider multiple factors from their legacy hardware, and envisage how their employees will be working in the future. As leading edge companies adopt more flexible working and hardware policies to drive employee engagement and productivity, IT departments will be required to support multiple devices. Many are already managing legacy USB-A to new USB-C technology, and further adoption will enable businesses to continue supporting their mobile workers. Only by working with the experts such as Targus, as well as leveraging high quality IT equipment, can support organisations to successfully take the onus away from preparation and place their focus on the delivery of work in today’s digital age. Along with the rise of USB-C, we’ll see docking stations, cables and hubs to support various working environments and styles. Employees and visitors can use a single cable or adapter to transfer video, data and power, meaning no more time wasted trying to set multiple components up. With hardware manufacturers now moving to USB-C, many enterprise businesses are well advanced in their thinking on how to cope with this change and improve business efficiencies by creating the right infrastructure for the mobile worker. The requirement for dongles, cables and adapters will only increase as we move to USB-C, and as the number of ports on devices are being reduced. Further, having a string of different types of cables and connectors in use in businesses always restricts efficiency and performance by adding confusion. Currently most peripherals plug into PCs via a USB-A connector, which are the rectangular version and appear on USB flash drives, external keyboards, mice, hard drives and virtually every peripheral to date. Then, at the other end of the cable there can be a different type of connector. This could be a Micro USB for smartphones, a Mini USB, a Micro USB-B for storage devices and a squarer USB-B which most printers will use. This means that for today’s businesses the correct cables must be packed at all times and if any one goes missing there may not always be a spare to hand – which can prove a fiddly, and sometimes costly, affair. The idea behind USB-C is a simple one. You have one type of cable and one type of port to enable workers to connect everything they need, whether it’s hard drives, monitors, audio interfaces, smartphones or laptops. It looks to simplifier everything by gradually introducing a single, standard format across all devices, even providing the same connector at both ends of the cable. No need, then, for mobile workers to have to carry around different cables and ports all the time when they’re on the move or empty a bag full of different devices and sort out the right ones before they can connect up and get on with the job in hand. The complexity is increasing with USB-C and USB A. Most enterprise customers are having difficulty understanding the solutions required to support both connector types for a uniform workspace experience, as, let’s face it, cables are confusing. Although they all look the same, they may have some differences and discrepancies which affect their capability. For example, if a power device is needed then the cable must be able to support USB Power Delivery and for HDMI, MHL or DisplayPort video, a USB-C cable with Alternate-Mode functionality is needed. However, USB-C is not simply a ‘one-cable-fits-all’ solution, with some manufacturers producing dangerous and non-compliant products. Before you make the transition there are multiple factors and risks to consider, particularly if you’re part of a larger enterprise. For now, you’ll need a range of accessories to make new USB-C hardware work with legacy USB infrastructure. The workspace is transforming and USB-C will help to define this in the coming months, but it’s going to take years for USB-C to completely replace the USB port we’re familiar with.